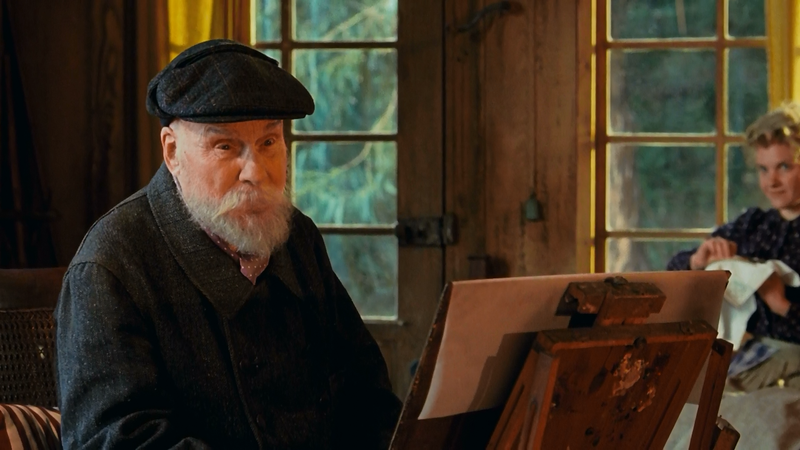 Like the work of the artist himself, Renoir – director Giles Bourdos’ biopic of the French impressionist starring Michel Bouquet, Vincent Rottiers and Christa Théret – paints an idyllic scene of a life played out in bohemian decadence, tainted with rhapsodic and turbulent undercurrents. The arrival of Andrée (Théret) at the estate of the reclusive artist Pierre-Auguste Renoir (Bouquet) on the French Riviera in the summer of 1915, has far-reaching effects on all who meet her. Initially employed as a muse to the artist, she is unsure of her place within his household’s strict hierarchy. Only with the return of Pierre-Auguste’s elder son Jean (Rottiers), to convalesce after being wounded during World War I, does Andrée find some form of role in the family, becoming a catalyst between the cantankerous father and his impassioned, fragile, young son. As with many of Pierre-August’s paintings, people are at the core of Bourdos’ work, a piece of art as masterly as anything produced by either of the artists around which the film revolves. Bourdos, and cinematographer Mark Ping Bing Lee, capture perfectly the feeling of long hot summers on the Côte d’Azur through a palette of muted pastels and rustic hues. The resulting filmic narrative envisages a kingdom ruled by Pierre-Auguste and largely separated from the horrors taking place outside its walls. Only with the arrival of Andrée and Jean does reality break into the old man’s insular existence, with cathartic and revelatory effects on the central protagonists. Based on fact the film focuses on the debilitating arthritis from which Pierre-Auguste suffered during later life. Bouquet’s portrayal of the genius is both moving and alienating, eliciting feelings of sympathy at the obvious frustration the ailing artist experienced, whilst provoking hostility through the old man’s increasing aggression towards those around him. It also emphasises his fixation and love for females not only in the subject matter of much of his work, but also the coterie of women who looked after his every need as his health deteriorated. These aspects are reflected in the life of his son Jean, a young man damaged not only by his experiences on the frontline of World War I, but also the unspoken influence and control of famous father – an oft strained relationship which likely helped goad Jean into becoming the successful filmmaker he was in later years. As for the unfortunate Andrée, though she had significant influence on the period of life for both Pierre-Auguste and Jean depicted in the film, her role in reality amounted to little more than a footnote in the history of the illustrious artistic dynasty, of which Renoir serves as a tantalising celluloid visualisation.